As a Crave Dining Voucher member, you will receive your discount by redeeming a voucher when you Scan & Pay with Zapper. We’re always adding new and unique venues for you to experience the taste of dining for less. 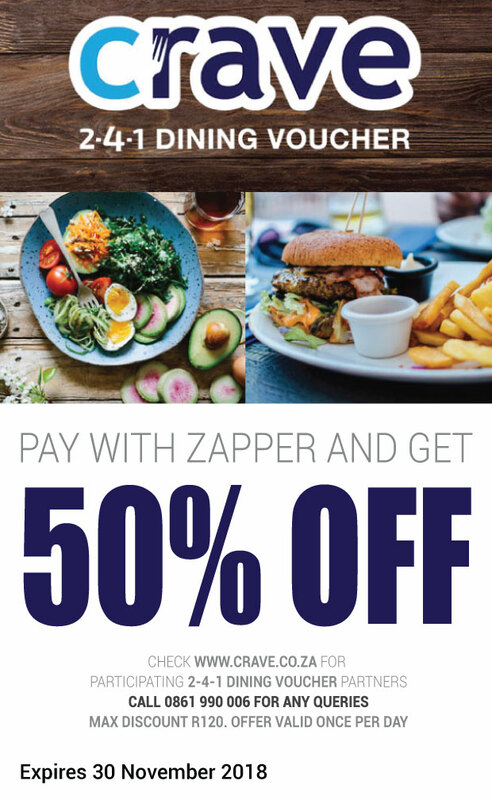 Choose a Crave Dining Voucher partner (indicated with ) Click here for a summarised list of Crave Dining Voucher restaurants or alternatively, select "View Merchants" under your Zapper voucher to view a list of geo-located restaurants in the Zapper app. What does my Crave Dining Voucher benefit voucher look like?